The products we feature here on Babyology are always amazing but this one wins the award for a truly stunning idea. 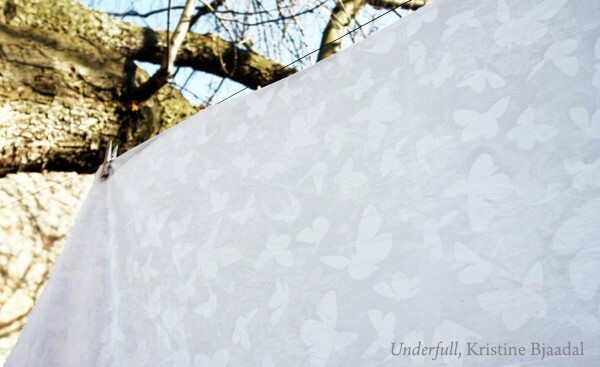 A white tablecloth, yes, but spill something on it and – hey presto – beautiful butterflies appear. The Underfull Tablecloth is the brainchild of Norweigian designer Kristine Bjaadal. It starts out as a white floral damask cloth but if it becomes wet (oops, silly me, spilt the juice!) hidden butterflies emerge. It’s washable but any stains are meant to become part of the pattern so each spill tells a story. It’s still a prototype but my bet is that these will fly off the shelves once into production. Of course, as soon as it’s up for grabs we’ll let you know. Check out how it works below, mealtimes will never be the same again!